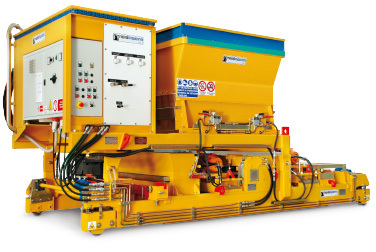 NORDIMPIANTI’s SF Slipformers machines have been designed for the production of a wide range of prestressed concrete products both for floors and walls on long production beds. 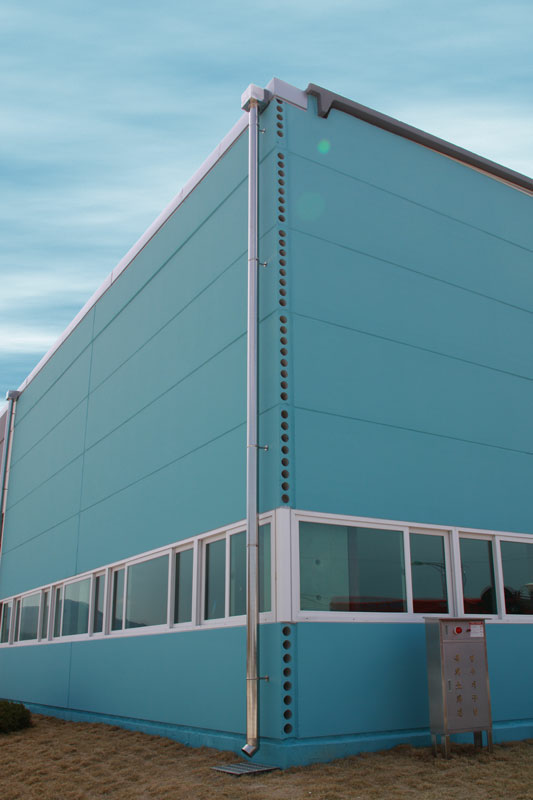 The machine offers a cost-effective solution for companies that are looking for a flexible approach to produce prestressed elements such as hollow-core slabs, inverted T beams, vineyard posts, lintels, half slabs, solid slabs, inverted double T beams, grandstand panels and other special shapes. The machine is modular and the power unit together with the hopper can be easily and quickly transferred to another forming insert to produce a different element. Standard element heights range from 60 mm to 1000 mm and are available in widths of 600 mm, 1200 mm, 1250 mm, 1500 mm and 2400 mm. The SF Slipformer for solid slabs is available for the production of elements with widths from 600mm to 1200mm and heights from 40mm to 200mm.. 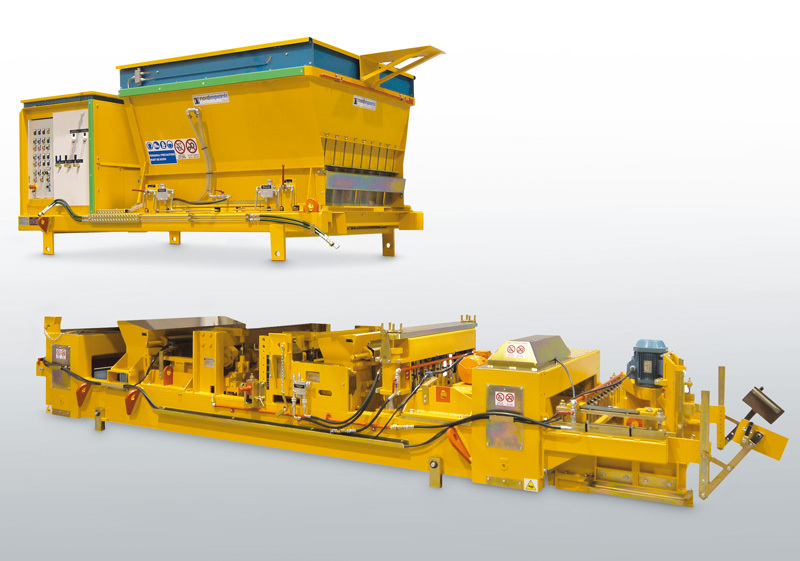 Concrete is delivered from the main hopper (1) by feeding tables (2) into delivery hoppers (3a, 3b) mounted on the forming insert (4). 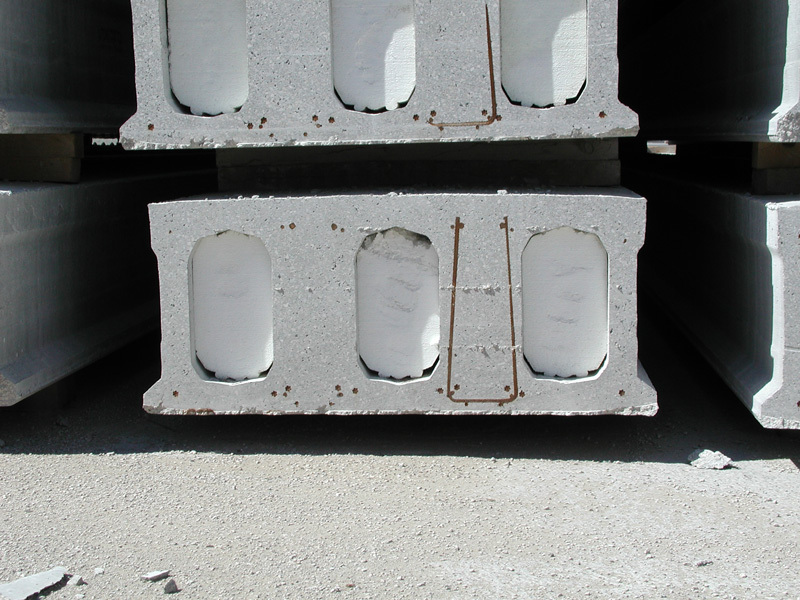 From here the concrete is delivered to the production bed and the voids are formed by a set of forming tubes (5). 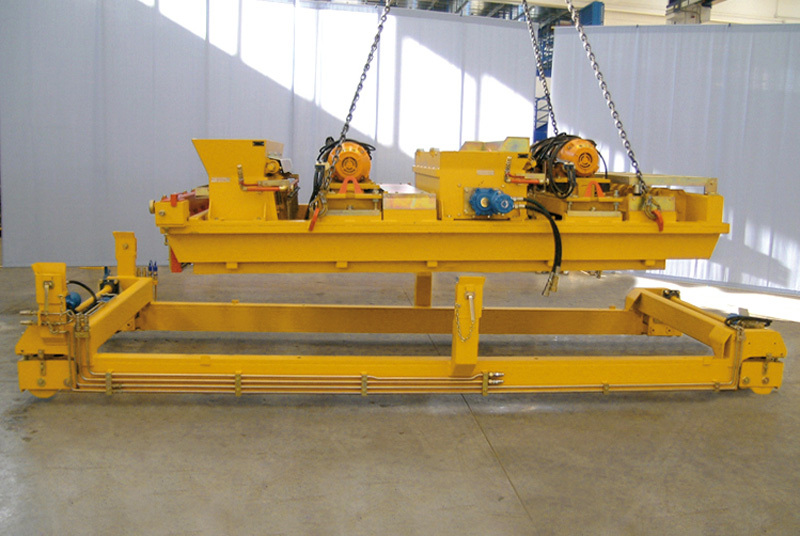 After the second delivery hopper (3b) there is a damper device (7) to distribute and compact the concrete before the rear vibrating group (6b). 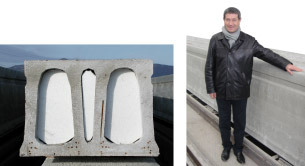 Special vibrating groups (6a, 6b) provide a two stage concrete compaction. At the end of the casting process a smoother device (8) gives an excellent surface finish. The forming tubes and the side formers create the shape and the voids of the elements. Forming tubes and side formers have an oscillating movement backwards and forwards which together with the special vibrating group give excellent concrete compaction at every point along the element ensuring the element’s excellent technical characteristics. 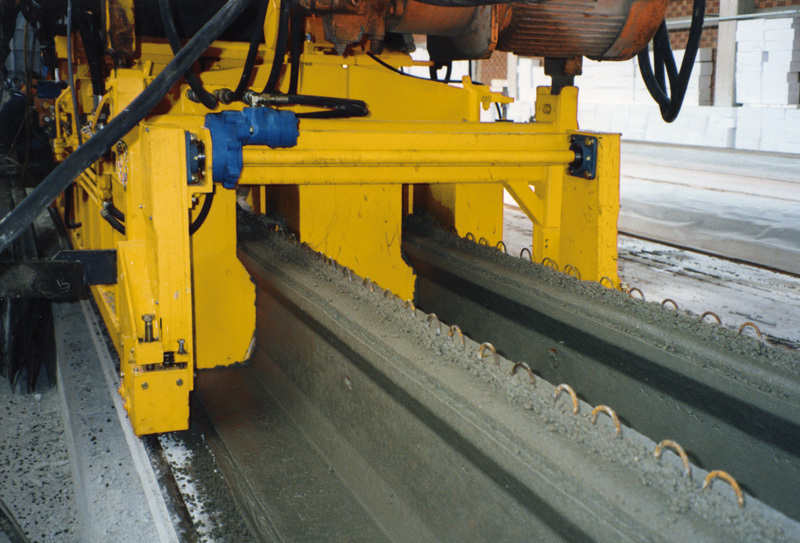 Concrete is delivered from the main hopper (1) by feeding tables (2) into delivery hoppers (3a, 3b) mounted on the forming insert (4). 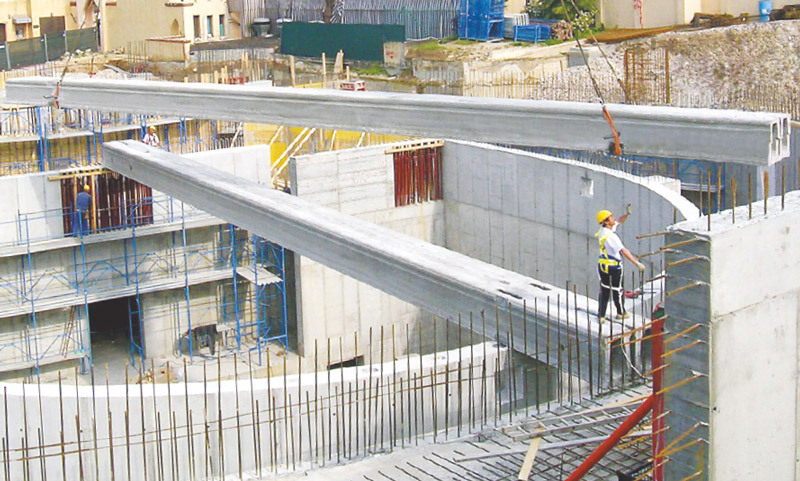 From here the concrete is delivered to the production bed and the voids are formed by a set of forming tubes (5). After the second delivery hopper (3b) there is a damper device (7) to distribute and compact the concrete before the rear vibrating group (6b). Special vibrating groups (6a, 6b) provide a two stage concrete compaction. At the end of the casting process a smoother device (8) gives an excellent surface finish. 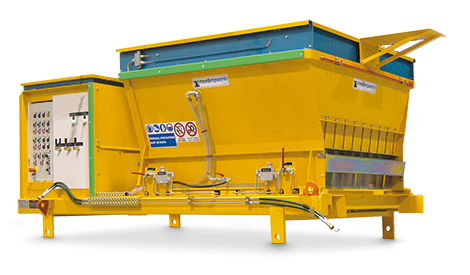 The sf NORDIMPIANTI Slipformer machine is made up of 2 main units, a universal power unit together with a hopper and a forming insert module. 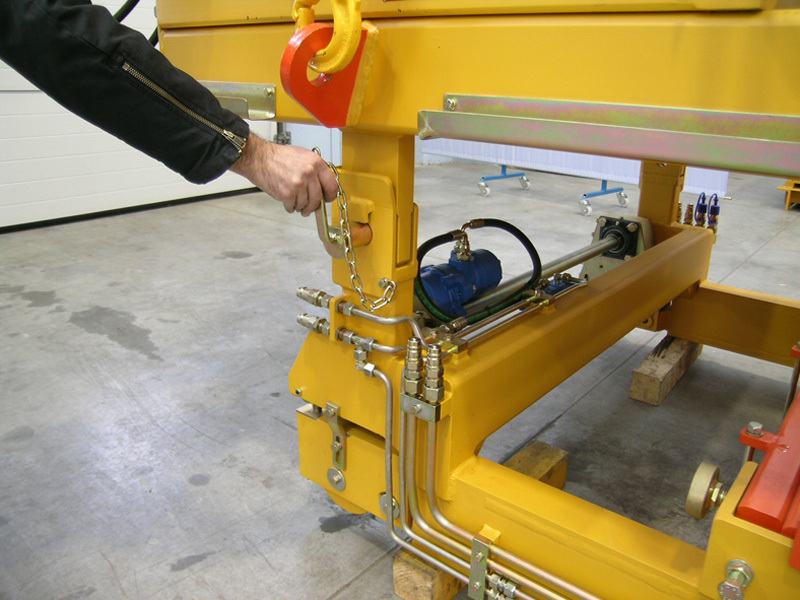 The universal power unit houses the hydraulic pumps, the control box and the control panel. The power unit, together with the hopper can be easily and quickly transferred to another forming insert to produce a different element. 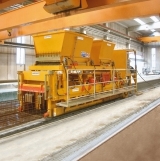 Concrete is delivered from the main hopper by feeding tables into delivery hoppers and then onto the casting bed. 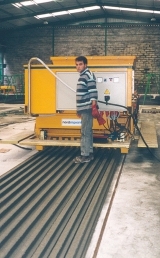 On the bed the concrete is formed into its profile and then compacted by vibrating units. 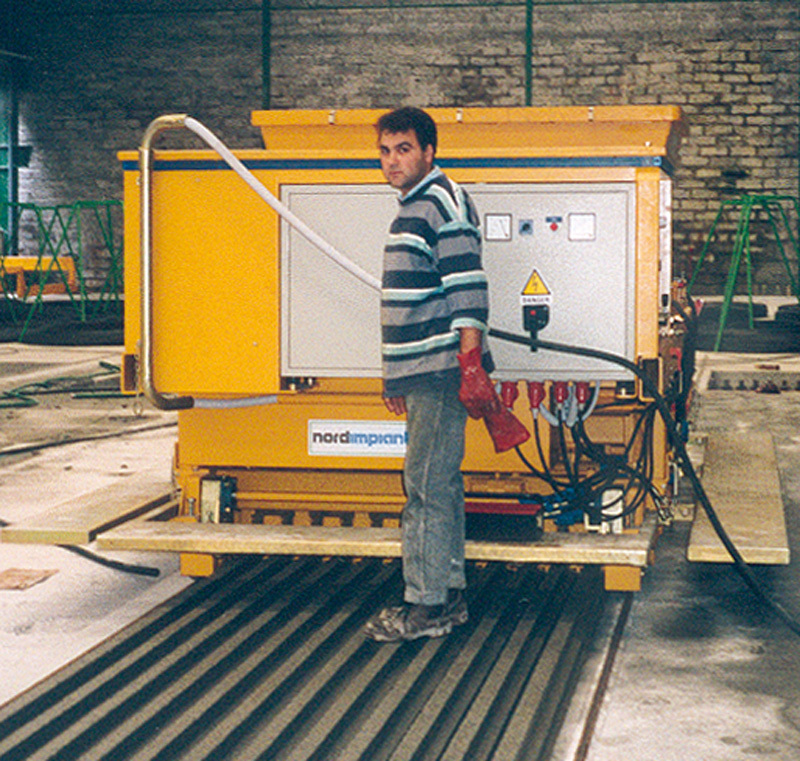 The complete power unit can be removed and mounted on a different forming insert in order to change element production. 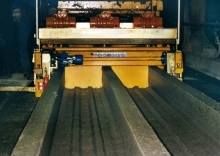 The forming insert is the product-specific part of Slipformer. 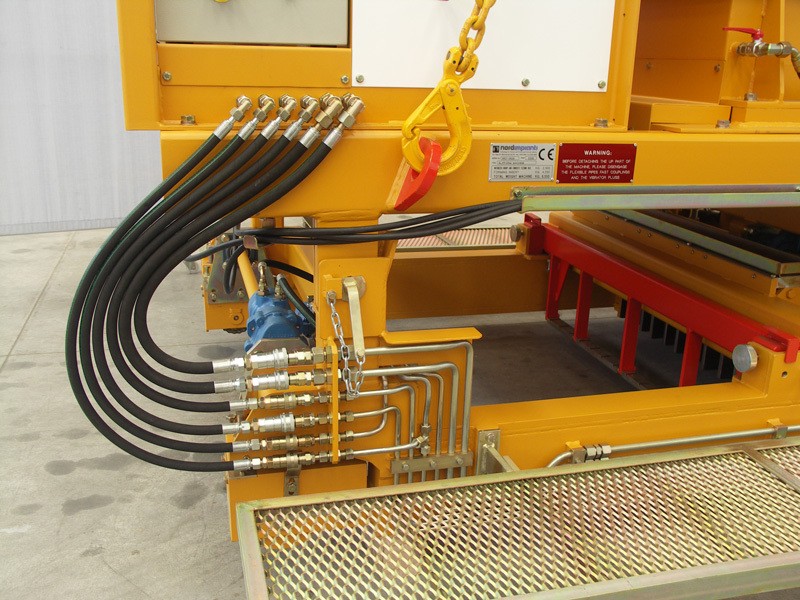 It includes the delivery hoppers, vibrating units, wire guides, side formers and a set of forming tubes or dividers according to the elements being produced. In the production of hollow core slabs, the height of the elements and the number of voids is determined by the forming tubes. Different element heights can be manufactured by changing the forming tubes. 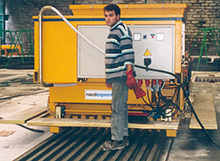 The machine is available with two or three vibration stages in order to attain the best concrete compaction. 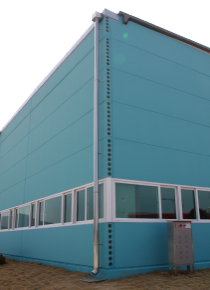 It is possible to insert steel wire mesh reinforcement. Third party components are sourced from the world’s most renowned suppliers. 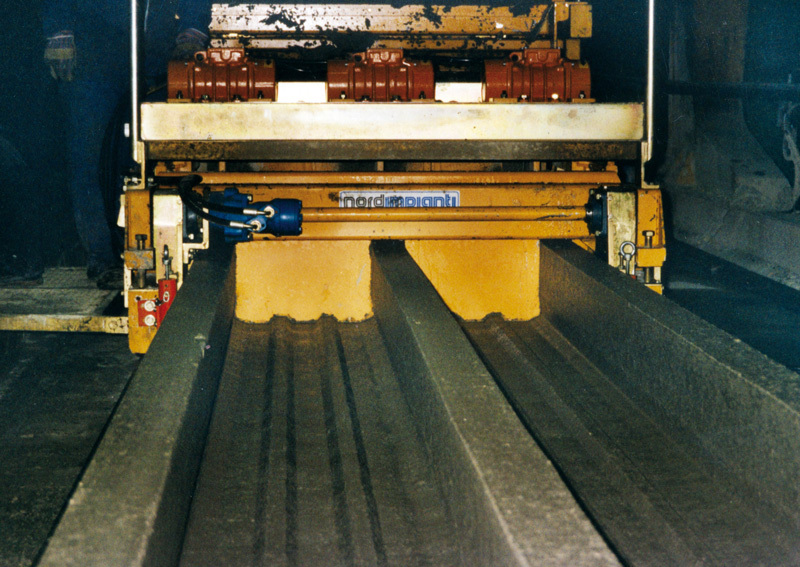 The forming inserts can be quickly changed to enable production of slabs with different profiles or heights. 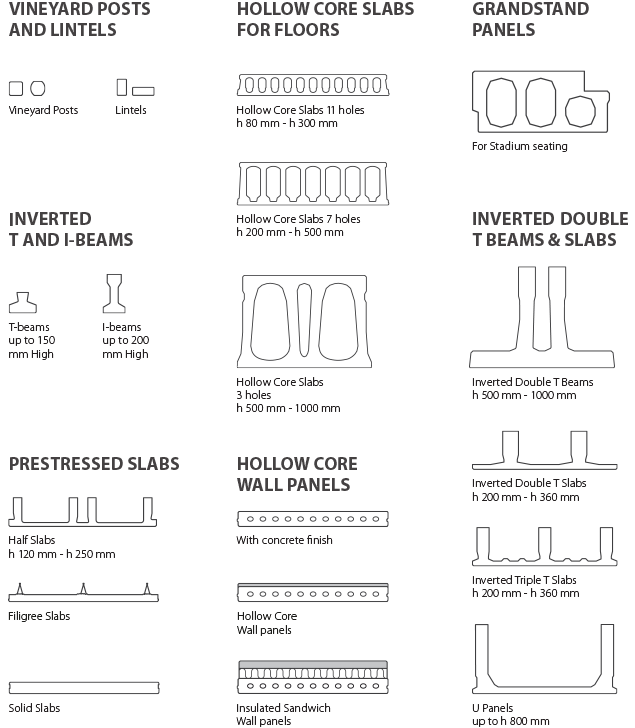 The large hollow core slabs JUMBO series have heights from 500 mm to 1000 mm and are available in widths of 600 mm or 1200 mm. 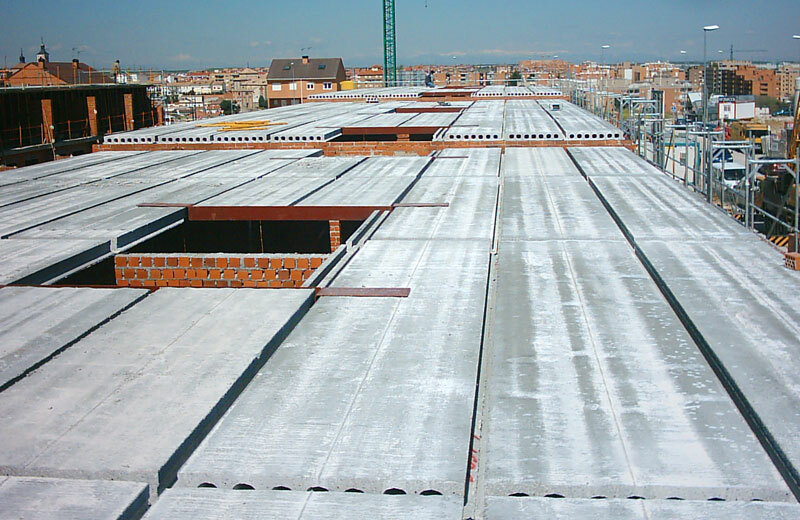 The slabs produced by NORDIMPIANTI’s Slipformer are cast through a combination of concrete dosage and vibration compaction ensuring a high level of compaction along every point of the element. This series of elements have a particular constant cross section with two large lateral voids and a smaller centre void. Steel mesh can be inserted into the ribs and the lower part of the element. The production system gives a good surface finish on both sides of the element (one side is smooth because of the steel casting bed and the other side is given an excellent finish by the smoother device on the casting machine). It means that the panel is finished ready for painting if required.